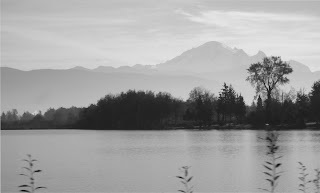 Now that the season is winding down, here's a photo I took of Mount Baker. I took this while headed down the road at 50 miles an hour. This was one of only two photos I took on that drive-by.